What’s your favorite digital marketing channel? Scratch that. What I should have asked is in which channel do you consider to be the most effective? Thanks to the multifaceted world of digital marketing, today’s marketing manager has a huge range of potential channels to choose from. Do you focus on SEO to build traffic and visibility? Should you dive into your social media accounts to form stronger connections with your audience? What about direct response, will that help build a better business? They’re all great options and can bring about some great results. But in my opinion and experience, none of them holds a candle to conversion rate optimization (CRO) when it comes to increasing profits. Now I’m not saying that CRO is the be all and end all of online marketing. Far from it in fact. You’ll get far more out of your CRO campaign by having it work in concert with other marketing methods. However, if I were a marketing manager who needed to get results quickly but didn’t have the time to implement an all-encompassing campaign, I know where I’d focus my efforts. The truth is, nothing offers the ROI potential of a good CRO campaign, and here’s why. Before I start to wax lyrical about the amazing potential of CRO, I should probably offer a quick explanation for the uninitiated. In the wider scheme of things CRO often goes overlooked. There are plenty of SEO agencies, collectives of PPC gurus and companies who specialize solely in social media marketing. There’s little for CROs in comparison. Individual freelance copywriters undertake the majority of conversion optimization work. There’s a few agencies out there, but nothing that can compete with the hegemonic SEO or general marketing agencies. It’s a niche area that doesn’t get the love it deserves. Whilst the majority of agencies out there are focusing on driving traffic and increasing brand awareness, CROs are hard at work tackling the issues that grow lists, raise profits and improve user experience. We focus, unsurprisingly, on conversions. Before you jump that gun and think that a conversion is nothing but a sale, let me elaborate. When it comes to digital marketing, a conversion can be any number of things. In my opinion, a conversion is any action a user can take on your site. There’s a lot that goes into persuading customers to take a specific action. It’s not just about making your CTAs snappier; it’s about creating a great user experience that also persuades and convinces. Everything from headlines, through body copy to CTAs and P.Ss, needs to be looked at, analyzed, optimized and tested. Where many marketing methods focus on building a reputation and exposure, CRO focuses on the elements that directly contribute to a higher return. CRO drives sales, grows email lists, engages customers and persuades them to take the action you want them to take. It’s copywriting meets digital advertising and is still the best way to increase sales and get the highest ROI, and here’s why. When a company is looking to increase its bottom line, there’s a tendency to focus on external determining factors. Many marketing managers look at increasing their marketing to increase traffic, improve brand awareness and just push their messaging to as many people as possible. Taking this path does get your message in front of a wider audience. But attracting a wider audience doesn’t necessarily ensure a high ROI or even a slight increase in sales. It all comes back to the age-old discussion over customer retention vs. acquisition. Taking the traffic building approach is very much an acquisition approach. You’re focusing on driving new businesses while overlooking those already invested in you and your brand. I mention your existing customer base for a reason. I understand that every company needs to continue to grow their customer base, but to focus on doing so before you’ve optimized your site for current users is folly. The acquisition is proven to be far more expensive than retention. According to various sources, acquisition is between four to six times more expensive than retention. OK, so we now know that looking to attract new customers is more expensive. But we’re not here to talk about acquisition vs. retention. We want to know about the return on investment, not how to save a few dollars here and there. After all, we’d all gladly spend more if it resulted in an enormous gain later down the line, right? Well, ROI is the area where CRO stands strongest. You may be like one of the many marketers out there who gets excited when they see a huge spike in traffic after an expensive SEO/PPC campaign. You’ve managed to get a 50% increase in traffic and think that’s worthy of a pat on the back. But your boss doesn’t see it that way. A 50% traffic increase is what a marketer cares about. What your boss cares about is revenue (you should care more about revenue as well). Often, new traffic doesn’t convert and what your boss sees on his spreadsheet is that you’ve spent $X of company money to increase revenue by 5% of what you spent. He doesn’t care about the traffic, and he cares about recovering that 95% of what you’ve spent and then making a profit. That is what business is all about, making money. Despite your sizable SEO campaign cost, your bottom line isn’t seeing the gains you hoped. You’d be better off spending a fraction of that on optimizing your existing content for current audience members to improve on that 60-70% conversion. ‘But Pete’ you say, ‘an optimization campaign still isn’t cheap.’ You’re right. On the face of things, an optimization campaign isn’t drastically cheaper than a PPC campaign. However, there’s one huge difference, which when taken into account, makes a world of difference. A PPC campaign is only effective for as long as you’re running it. There’s ongoing budgeting costs and countless man hours wasted on maintaining and optimizing your campaign. Once you put a stop to your campaign, what happens? Traffic takes a nose dive. Once your campaign is complete, there’s no financial, and little time costs to maintain it’s effectiveness. The page you optimized will always be there. You don’t have to pay extra every month to keep it up, and you don’t need to worry about it suddenly disappearing. If you’ve done an excellent job of optimizing in the first place, that page should last you for months, and maybe even years. It;s a one off fee for a long lasting effect. The ROI winner here is pretty obvious. CRO continues to bring a steady stream of income even after the campaign is over. You’ll want to keep an eye on overall conversions and play around with a few variables, but if you did your research well then devising variables to test will take next to no time. I touched on this briefly above. CRO doesn’t just save money in the short term but also brings a higher reward over time. Why is this important? Well, apart from the obvious increase in revenue, you’ve now got more freedom to play around with other marketing channels further solidifying your position as an industry leader. The extra money CRO is bringing in can be put to good use in increasing traffic and ramping up both digital and print marketing. You do not have to dip into your pocket, but rather feed the money your CRO campaign makes back into the company for further growth. It’s a wonderful cyclical approach that cuts the chance of you dropping into the red. You optimize for your current users and see a gain in revenue. You use the new data from a larger audience to start the cycle again. It’s the beginning of a cyclical marketing plan that builds on itself without eating into your money bar that initial outlay. By approaching your marketing in this way, you’ll also see a far better performance across the board. Because CRO success depends on an incredibly in-depth knowledge of your audience, you’ll have to know your audience needs, pains and wants in minute detail. Knowing these details will help you better tailor your marketing in stage two, which will bring even more traffic to your highly optimized pages and assist with future project and product development decision. CRO doesn’t just deliver a better ROI, and it also helps refine your other marketing methods for better effect. The navigation of your site and the wording of your copy needs to provide an extremely pleasant and persuasive user experience. If your site is difficult to navigate, prospects will leave before finding your primary selling points. If your copy is uninspiring, they’ll leave before making it through the first paragraph of text. Making sure that your site has a logical, easy to navigate flow is all part of optimizing for conversions. Head to any good conversion optimization website and they’ll be countless articles on CTA placement, typography advice and just best design practices for higher conversions. At heart, conversion optimization specialists are copywriters. We’re not just concerned with the actual copy, but that everything produced is properly cited, easily understood, persuasive, valuable and, of course, presented in a logical manner. It may sound like I’m going a little overboard here. After all, the majority of the advice out there takes a very straightforward approach to engagement and impact. Create great copy and the rest will follow. Whilst that’s true, it’s only a very small part of the equation. 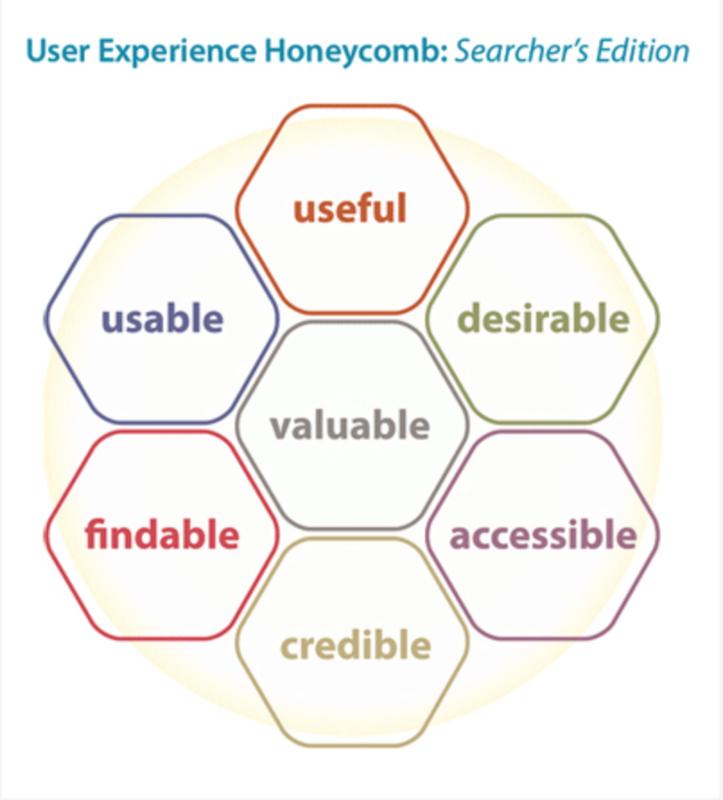 By optimizing all aspects of user experience, your website will be not only valuable but also enjoyable to use. Why is this important? Because the easier your site is to use the quicker, your message can be understood. The quicker your message is understood, the higher overall engagement. You’ll receive more referrals and social shares. And, thanks to Google’s rewards for content optimized for people and not robots, you’ll see your overall SERP placement increase. Conversion optimization isn’t only about increasing sales. Sure that’s the main goal, but there are myriad other benefits that help create a better brand image and increase your visibility that, unsurprisingly, contribute to sales in the end. What it all comes down to is that CRO offers the best ROI. Sure the other benefits are great to have, but at its very core CRO is about increasing profits and revenue. All of the user experience benefits and insight into your audience are happy by-products of what is the most effective method for driving sales. Hayden credits CRO as the base that helped him build a CRO empire, yet he’s not the only one with this opinion. I’m yet to meet a savvy businessman or CEO who gives a damn about traffic numbers. They understand that these things are important, but when it comes down to it, their primary focus is on revenue numbers. If they had to choose between a 400% increase in traffic or a 3% lift in revenue, which would they choose? Revenue. Despite my love of CRO, I know that on its own it’s nothing. You could create the highest converting website in history, but if no one ever sees it, it’s all pointless. For a website to convert, it needs to be seen. This isn’t Field of Dreams, simply building a high converting site doesn’t ensure success. CRO is what drives sales, but for your optimized pages to work their magic, you need to be driving traffic to them. CRO is the second half of the equation, but it is undoubtedly half that makes the biggest difference. They say you can lead a horse to water, but you can’t make it drink. Well, with a great CRO campaign you can turn that trough’s contents into the most desirable drink on the planet, pretty much ensuring it’s going to get drunk. So what’s your take? Do you agree with my opinion of CRO being the best ROI activity you can engage in, or do you think your time is better spent elsewhere in your marketing plan?